THE ULTIMATE FOOTBALL BOARD GAME! 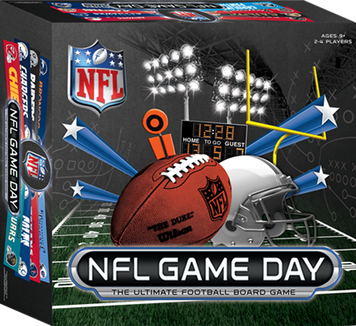 Feel the excitement in the crowd with this hard hitting SEC Game Day board game. College plays and rules give SEC Game Day the authentic college experience. 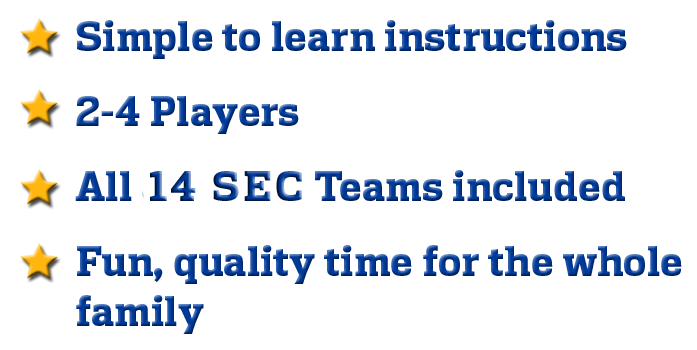 Pick your favorite SEC conference team and play for the championship or for conference dominance. 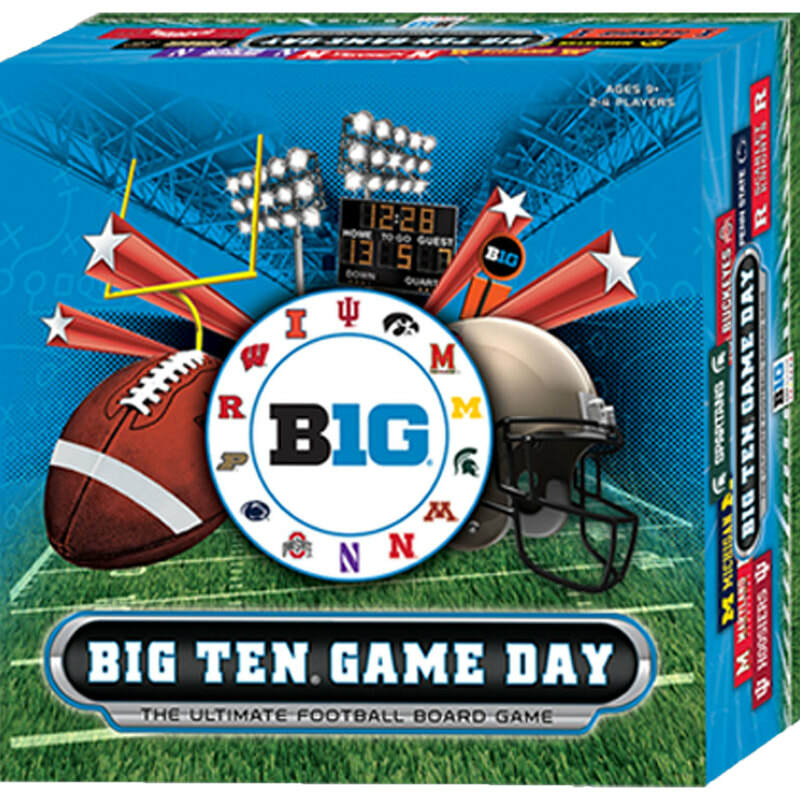 The game board resembles a realistic College stadium including: fans, goal posts, yardage markers, hash marks, scoreboard and down markers. Instructions are simple and easy to learn for players of all ages.